Our Mission: We strive to BELIEVE there is good in the world, and BE the good in the world! What We Do: We do fundraisers to collect money for improving and supporting our school. Last year, we raised $1,500 to put toward our new playground. This year, we will raise money to purchase items for our Our fundraisers are Hat Day, Grateful Grams (for Thanksgiving) and Candy Grams (for Valentine's Day). We also hold community service events benefiting our community. Our community outreach has benefited organizations like the Jeffco Family Connections, Arvada Food Bank, the Leukemia and Lymphoma Society, Colorado Visiting Nurses Association, and Foothills Animal Shelter. Above: 17-18 Student Council members donating $150 in items to the Library Makerspace. 16-17 Events: Hygiene Drive - We collected thousands of items for homeless youth, and donated them to Jeffco Family Connections. Arvada Food Bank Food Drive - We collected over 2,000 lbs of food! First Responder Support - We made dozens of Thank You posters to hang in a new school-site training facility for first responders. 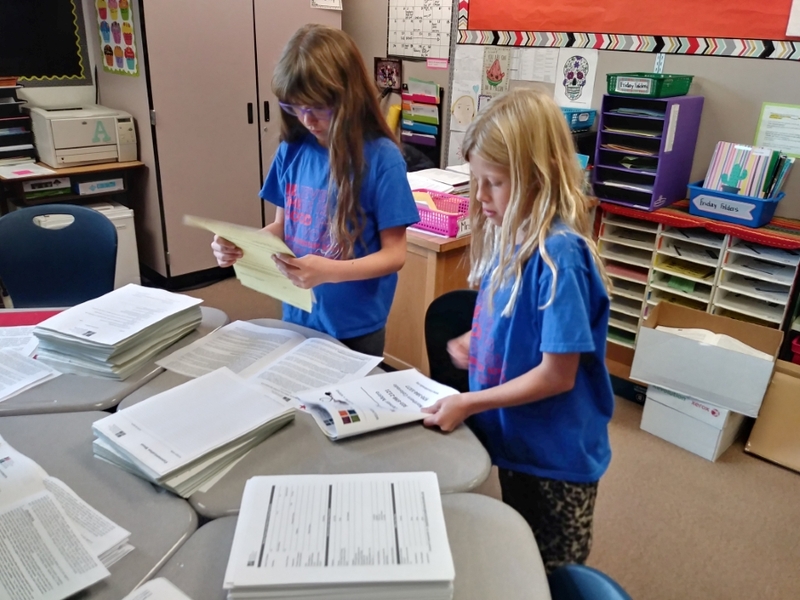 Colorado Visiting Nurses Association - We put together over 500 new patient packets for CVNA, to help them move to their new location in Arvada. Pennies for Patients - Coming up in April, for the Leukemia and Lymphoma society! Welcoming back 6th grade from Outdoor Lab!